King Kullen strives to help our customers stretch their grocery budgets and find new ways to save. With the rollout of our PriceWise program, we have lowered thousands of prices throughout our stores in Nassau & Suffolk Counties. PriceWise features many new ways to bring your savings back home, and our weekly circular showcases a host of great deals and savings each and every week. You can see our best values each week when viewing our circular online, or click here to have our savings circular emailed to you each week. 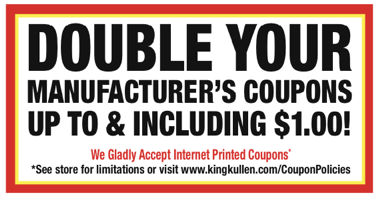 King Kullen is the only major Long Island food retailer to regularly double coupons up to and including $1.00. Our Coupon Policy can be found here. For additional information, please visit our page for Helpful Resources, Coupons, and Savings. Checkout 51 is a mobile app that helps grocery shoppers save money. The app is easy to access and navigate. Download the app on the App Store or Google Play Store and sign up. Every Thursday morning, Checkout 51 updates with a new list of offers. All you have to do is pick the ones you like, purchase them at any store, and upload a photo of your receipt through Checkout 51’s mobile app or website. When your account reaches $20.00, you can request a check. Click on the printable coupons button to access dozens of printable coupons from leading manufacturers. Printable coupons are added to your shopping list when selected, and will remain on your King Kullen shopping list until you remove them. Coupons will print when you print your shopping list and only after you have installed the coupon printer. If you have not installed the coupon printer, a window will pop up on your screen after selecting “Print Shopping List”. You will be given the option to print your shopping list without coupons or print coupons after installing the coupon printer along with the option to “Install Coupon Printer”. Once you have installed the coupon printer, try printing your shopping list again. If the coupon printer was installed correctly, a window will pop up informing you that “Coupons have been sent to printer”. SavingStar is a free, paperless eCoupon service. These grocery offers are entirely digital, with nothing to clip or print. A King Kullen/SavingStar key tag can be obtained at the courtesy desk of your local King Kullen. There’s nothing to clip and nothing to print. Click: Go to http://www.savingstar.com or download the SavingStar Android or iPhone App, and register your King Kullen/SavingStar key tag. Select the eCoupons you like. SavingStar will link them to your SavingStar key tag. King Kullen/SavingStar key tags are available at the customer service desk of all King Kullen stores. Shop: Use your King Kullen/SavingStar key tag at checkout in the store. Please note that the money you earn is added to your SavingStar account, so your total grocery bill will not change. Save: Your money is automatically added to your SavingStar account where you get to pick your payout! Choices include bank deposit, a Paypal deposit, or a donation to charity. King Kullen does not have a loyalty card – how can I participate? Why don’t the savings appear on my receipt? The savings are added to your SavingStar account, and you can select your payout option via your account (bank deposit, Paypal, or a charity donation). Your account will track all of the eCoupons you have activated, and all of the eCoupons that you have redeemed. When are the savings added to my SavingStar account? Your savings will be added to your account within 7-22 days after your purchase. How often are new offers available? If an offer requires me to buy 2 or more of a product, does it need to be in the same transaction? Are Saving Star offers doubled? 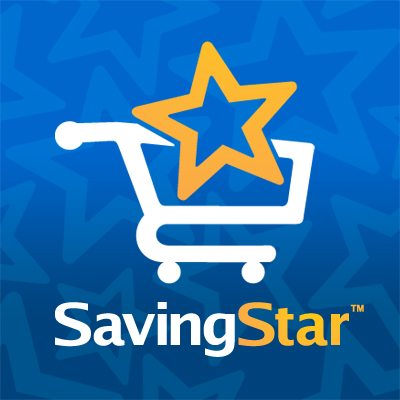 No retailer, including King Kullen, is able to double SavingStar offers. How can I get in touch with SavingStar? How can I get in touch with King Kullen about Saving Star? Looking for even deeper savings? Click here each week to matchup SavingStar offers with items on sale at King Kullen, for an even greater saving! Click one of the buttons below to start saving today!